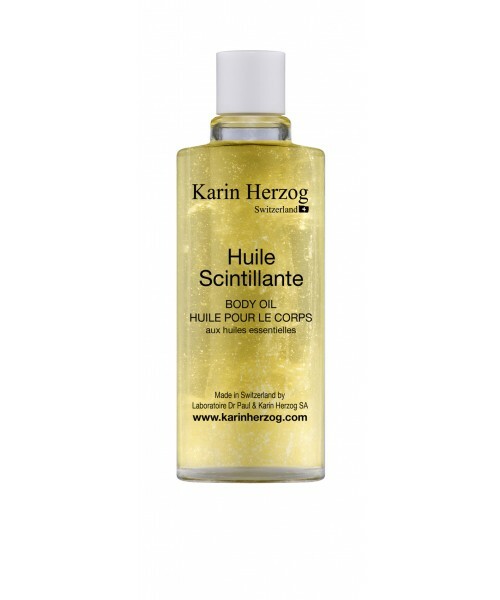 This nourishing and slightly iridescent oil for the body repairs, softens and moisturizes the skin. Containing natural essential oils of olive, cinnamon, sweet orange and noble laurel, it also brings energizing and stimulating action. Well shake the flask before application to free the spangled particles. Apply to the body and the low neck for an effect light and incomparable enhancer. Sesamum indicum seed oil; Calcium aluminum borosilicate, Silica, CI 77891 (Titanium dioxide), Tin oxide; Tocopheryl acetate; Cinnamomum cassia leaf oil; Citrus aurantium dulcis peel oil; Parfum.